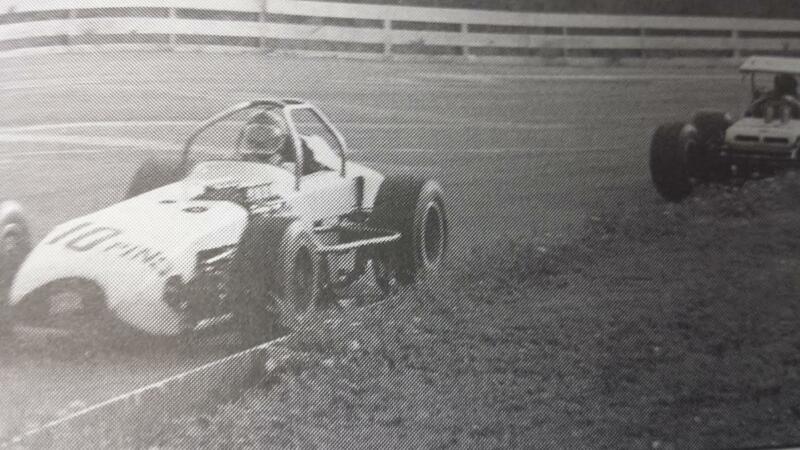 Nolan Swift leads Bentley Warren on his way to Oswego Speedway's International Classic win in 1968. Nolan Swift leads Bentley Warren on his way to Oswego Speedway’s International Classic win in 1968. After selling his seven year old Modified/converted to Supermodified, Swift and his partner Bill Wright unveiled a rear engine car, which proved to be a failure. The duo scrapped the car and in six weeks built a front engine roadster, which turned out to be somewhat lackluster also. The crowd was stunned when Swift passed Bentley Warren, in Howard Purdy’s Deuce, for the second spot around lap 160. Then, on lap 169, leader Red Barnhart began to run out of fuel and had to make a pit stop, handing the lead of the 200 over to Swift.